The elevation of the town of Madrid is 6,020 ft. but if you want to see the cemetery, you’ll end up going quite a bit higher than that. If you navigate off of Hwy. 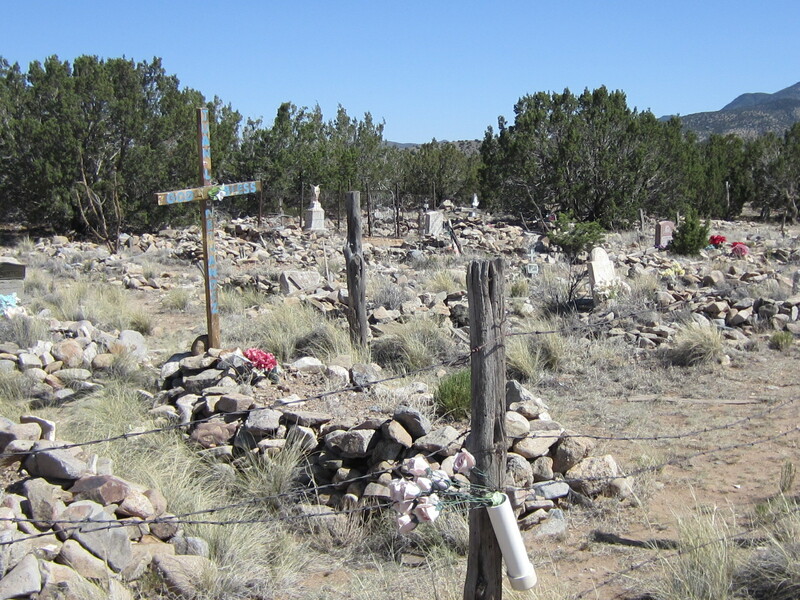 14 on to the “back road” through Madrid, and don’t mind some really rough spots on a gravel road that climbs the steep hill, you will be rewarded with a wonderful view of New Mexico sky and a cemetery you’ll never forget. 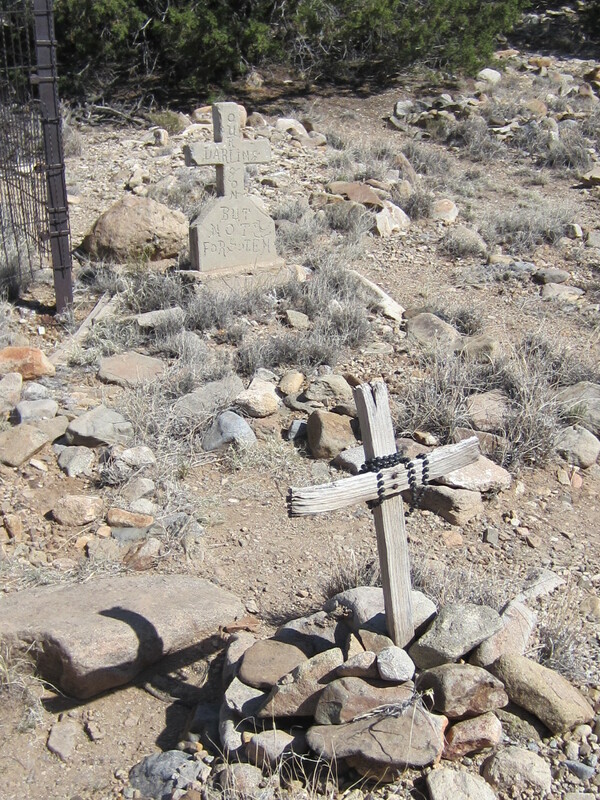 The south end has the miner’s graves and the north end has the cowboy/hippie graves. These first three photos are from the old section. The cemetery is actually on private land, and in the video link you’ll get a glimpse of a huge white house in the background where the owner lives. But he’s not going to disturb this place or cause a problem for the people in Madrid who want to use it.